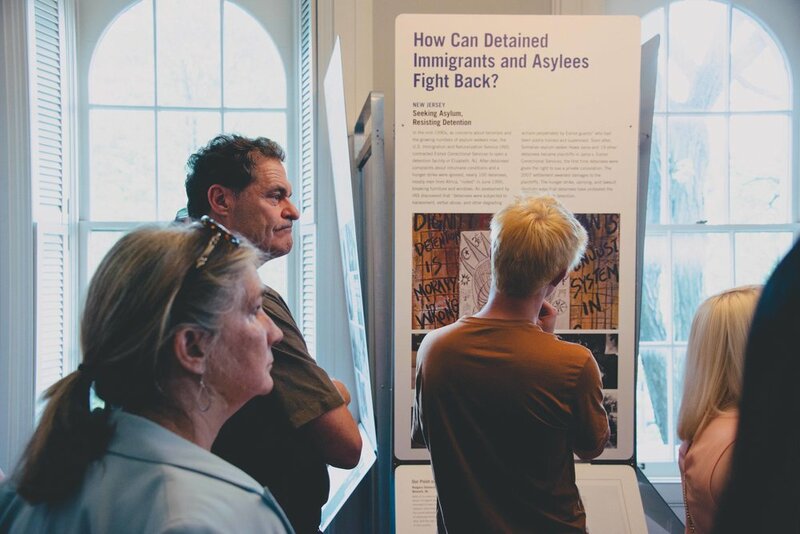 States of Incarceration (May 16—August 12, 2017) is the first national traveling multi-media exhibition and coordinated public dialogue to explore the history and future of mass incarceration in the United States will travel to Chicago to be displayed at the Jane Addams Hull-House Museum in collaboration with DePaul University and a New School-led coalition of 500 university students and formerly incarcerated individuals from 20 cities to create the traveling exhibition, which launched in New York City in April 2016. 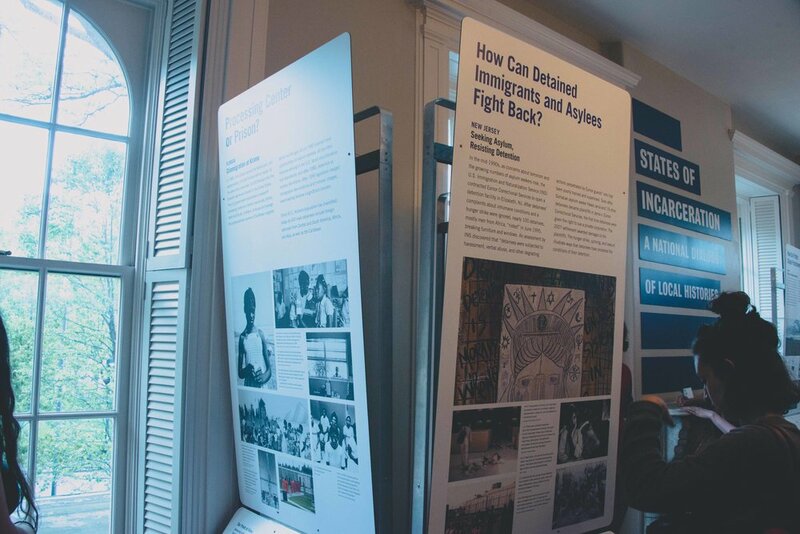 In the exhibition, a national public reckoning with one of the most pressing issues facing our country, 20 communities explored the deep historical roots of incarceration, shares personal stories related to the issue, and strategized ways of enacting policy change. 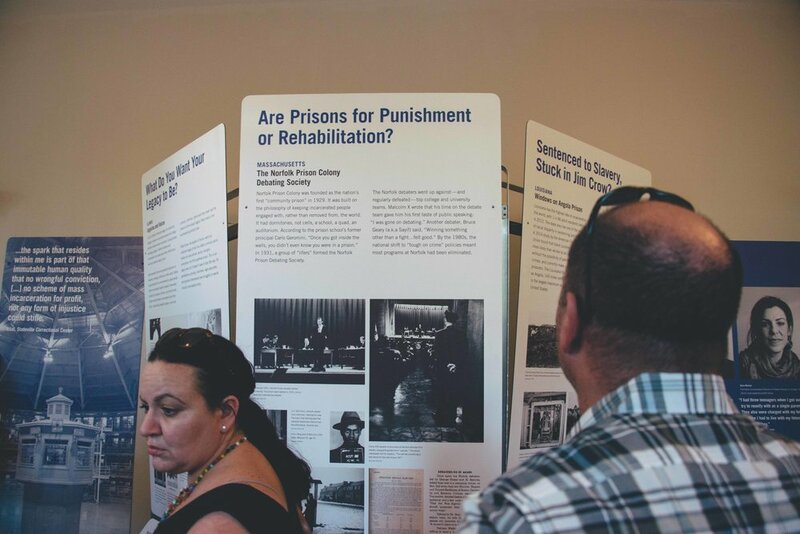 In each location, the traveling exhibition and public programs will focus on an issue of incarceration that is unique to that community. 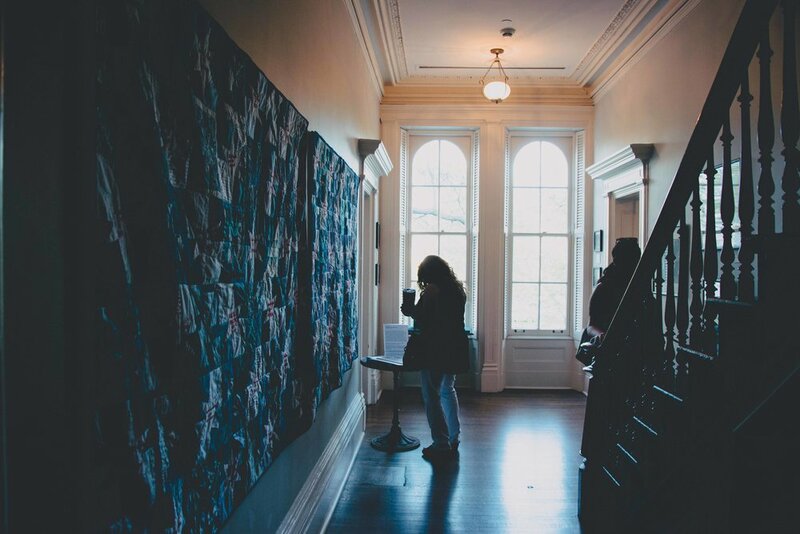 For its staging in Chicago, the exhibition includes “What is our Legacy?,” a special focus on Chicago's history with criminalization, developedthrough a partnership between two DePaul University courses. 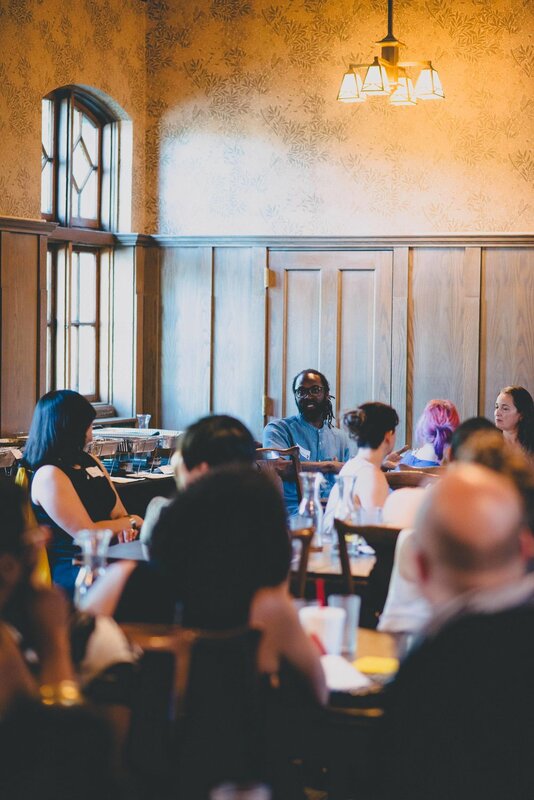 Students of Public History: Mass Incarceration and Public Memory created an exhibit panel in conjunction with the Inside-Out Restorative Justice: Engagement with the Prison course held at Stateville Correctional Center. Public History students joined the 12 'outside" university students and 12 "inside" incarcerated students to study texts, exchange written essays, and have rigorous discussions about the legacy of the criminal justice system, its impact on lives, families, and communities, together with ways to change that legacy for future generations. 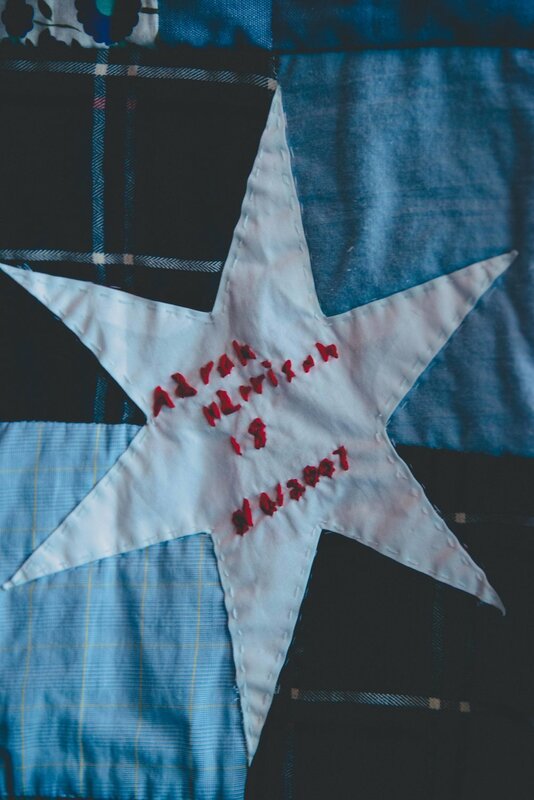 To accompany the traveling exhibition Hull-House will present, Gone But Not Forgotten, a collaborative memorial quilt for individuals killed by the Chicago Police Department during confrontations or while in police custody from 2006 to 2015. 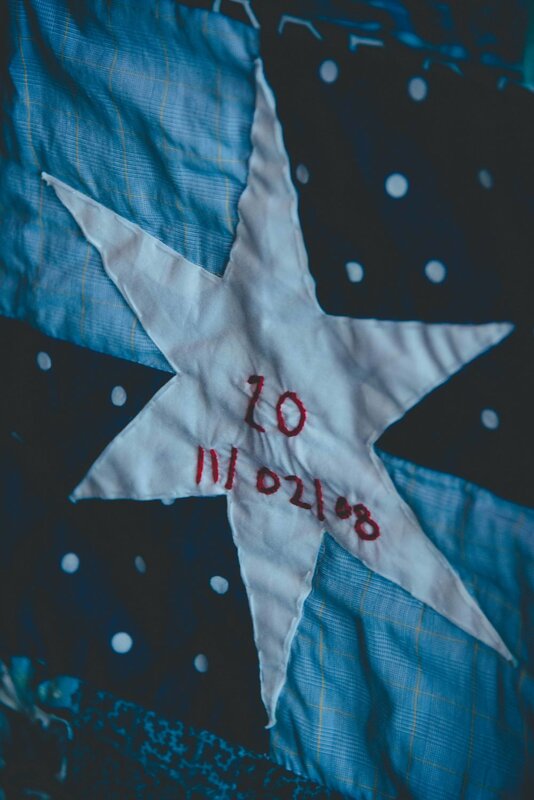 In collaboration with the grassroots group, We Charge Genocide, artist Rachel Wallis organized a series of peace circles/quilting circles where participants read the victims’ stories aloud, while creating a hand embroidered quilt in their memory. 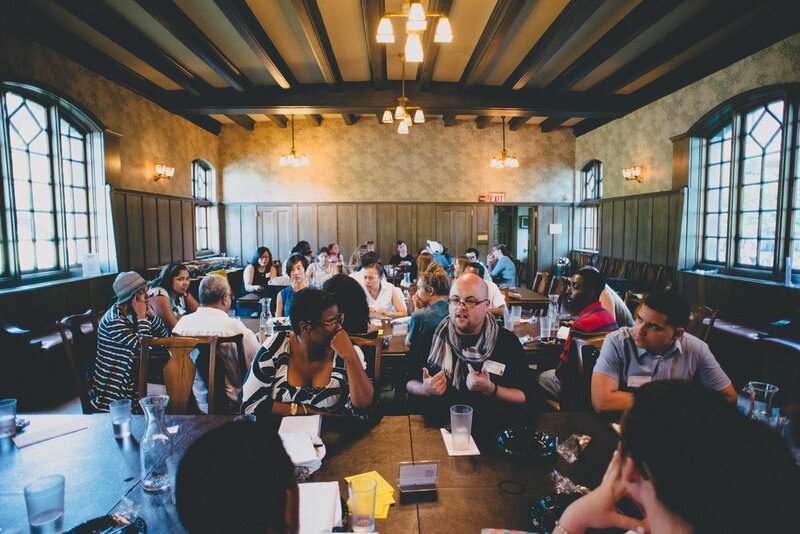 Over the last 2 years the circles have provided a safe space where more than 200 people from vastly different neighborhoods and backgrounds could come together and discuss transformative justice, police accountability, and community safety. To date, there are six quilt panels which stretch nearly 40 feet in length and commemorated the lives of 144 individuals. Three of these quilts will be on display at JAHHM, and the museum will host quilting circles and discussion programs throughout the summer. 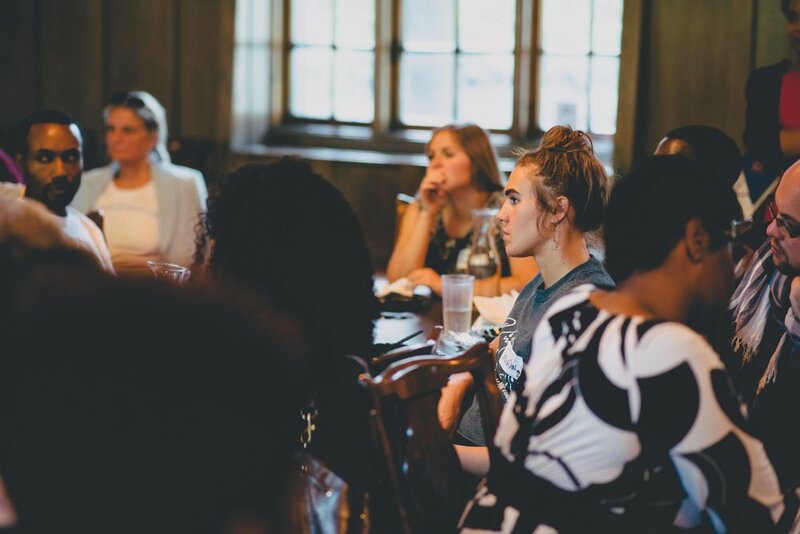 Hull-House’s States of Incarceration programing series highlights Chicago engagement with mass incarceration and its intersections with education. Below are images from Where has Childhood Hood Gone? 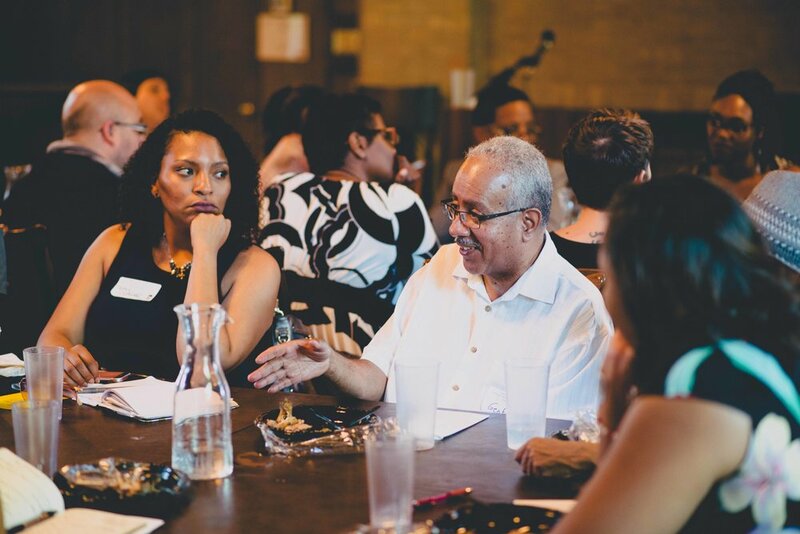 part of the Chicago Community Trusts On the Table city wide conversation series (Photo credit: Da Ham Lee/JAHHM). While national bipartisan support for criminal justice reform grows on Capitol Hill, local communities are deeply divided over how to change the system. In Chicago local grassroots organizer fought for important victories including the closing of Tamms CMAX Prison, a facility for holding men in solitary confinement, by the Tamms Year Ten a coalition of prisoners, ex-prisoners, families, artists and other concerned citizens including UIC faculty Laurie Jo Reynolds. 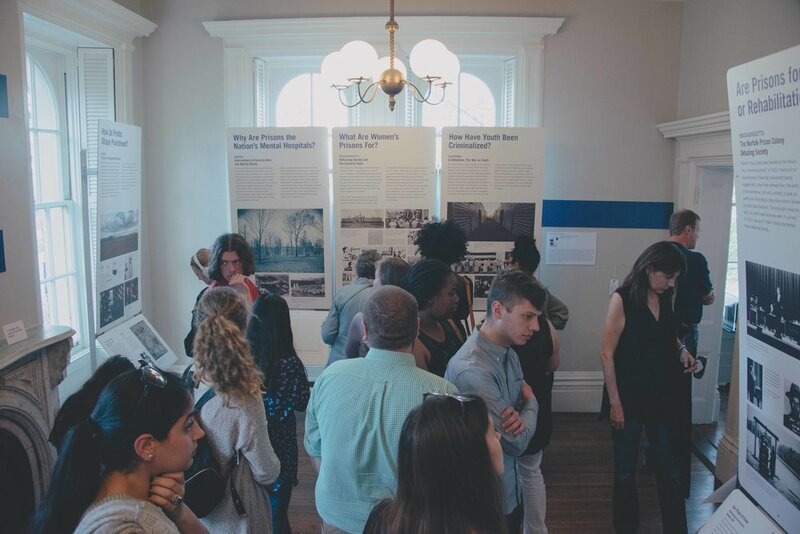 States of Incarceration at Jane Addams Hull-House Museum continues to engage with its audiences around issues of mass incarceration, criminalization and the carcel state in Chicago and across the country. In 2015, the museum produced the exhibition In To Body In To Wall, a collaboration between Maria Gaspar and 96 Acres, that addressed the walls surrounding Cook Country Jail, the largest jail in a metropolitan area in the United States. 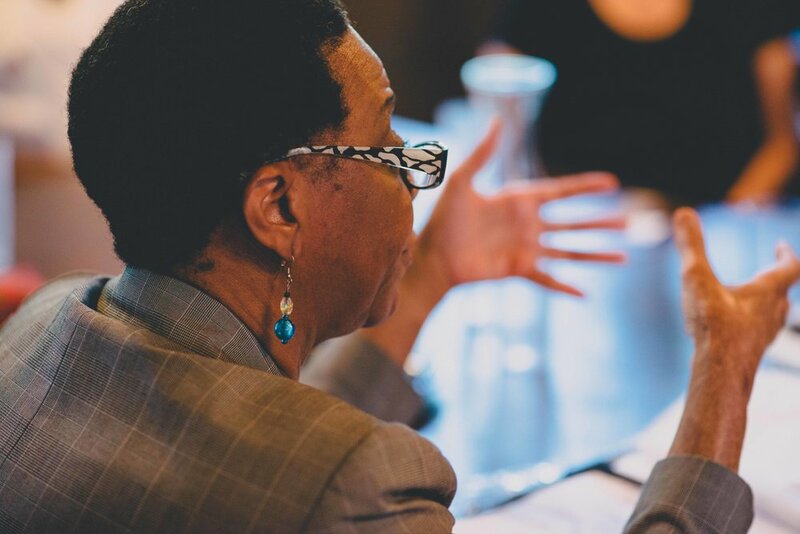 In the fall of 2016 JAHHM partnered with UIC Professor Laurie Jo Reynolds to host, The Registry 20 Years Later, the first convening about the unintended consequences of public registries. 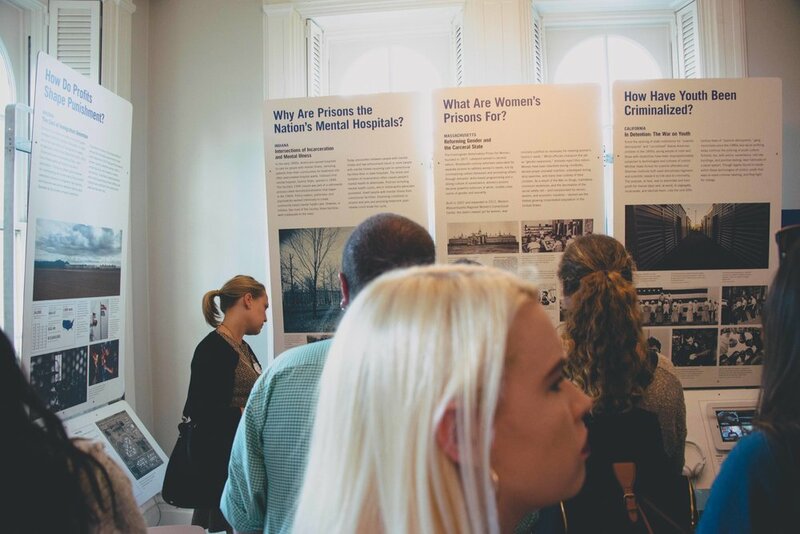 States of Incarceration and related programs at Jane Addams Hull-House Museum connects Chicago's local history to national efforts related to mass incarceration. Jane Addams Hull-House Museum serves as a dynamic memorial to social reformer Jane Addams, the first American woman to receive the Nobel Peace Prize, and her colleagues whose work changed the lives of their immigrant neighbors as well as national and international public policy. 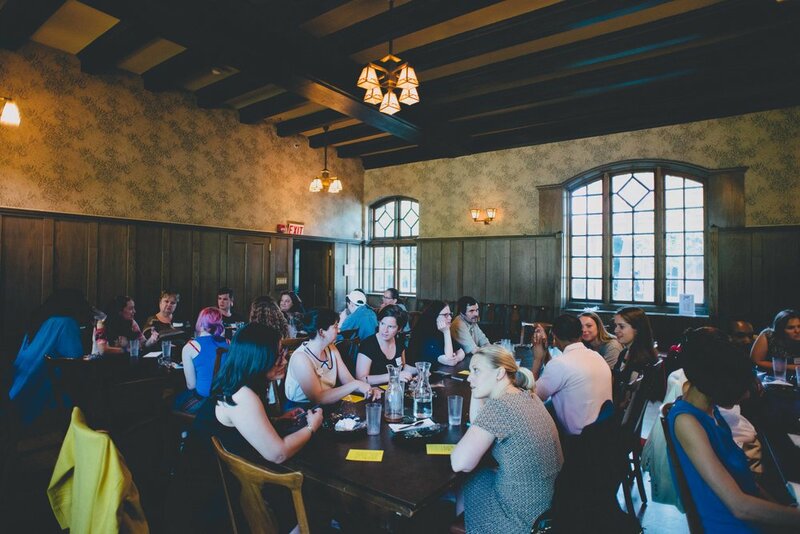 The museum preserves and develops the original Hull-House site for the interpretation and continuation of the historic settlement house vision, linking research, education, and social engagement. 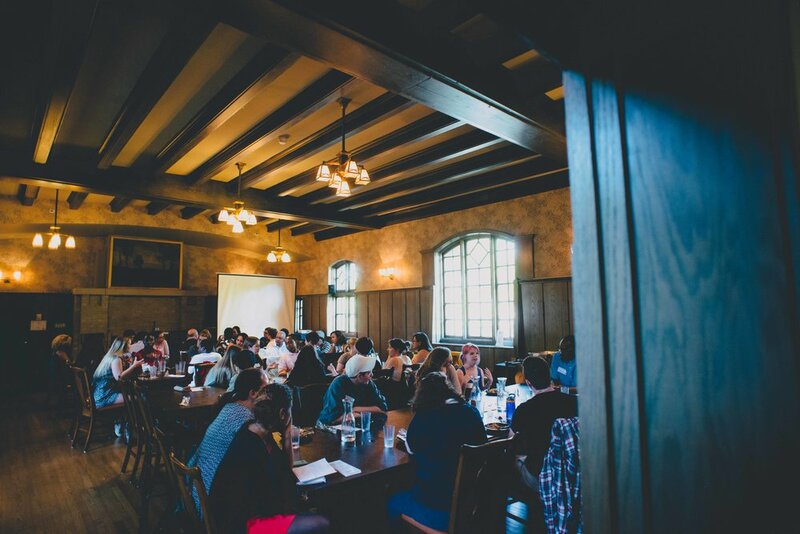 Early 20th century social reformers at Hull-House were committed to protecting immigrants and poor children who were often lumped in with adults and thought of as delinquents. Because of their advocacy the first juvenile court opened across the street from Hull-House in 1899. Hull-House residents Julia Lathrop (1858-1932) served on the first Juvenile Court Committee and Alzina Stevens (1849-1900), became the court's first probation officer. For more information, visits hullhousemuseum.org or visit the museum at 800 S. Halsted St. Chicago, IL. 60607. States of Incarceration is a project of Humanities Action Lab, a collaboration between DePaul University and 19 others, led by The New School, working with issue-based organizations and public spaces to foster new public dialogue on contested social issues, through public humanities projects that explore the diverse local histories and current realities of shared global concerns. Universities partnering in States of Incarceration are Arizona State University, Brown University, DePaul University, Duke University, Indiana University-Purdue University Indianapolis, Northeastern University, Parsons Paris, Rutgers University-Newark, Rutgers University-New Brunswick, Skidmore College, The New School, University of California, Riverside, University of Connecticut, University of Massachusetts Amherst, University of Miami, University of Minnesota, University of New Orleans, University of North Carolina at Greensboro, University of Texas at Austin, and Vanderbilt University. State of Incarceration was made possible in part by the Institute of Museum and Library Services, National Endowment for the Humanities, Whiting Foundation, Open Society Foundations, Mellon Foundation and TenLegs.